What is CCSK all about? You may have read some of the other pages on this site (CCSK, CCSK exam, online training), but you want to know more. That is why I have created a mini course on CCSK. It explains all you need to know in order to make an informed choice on how relevant it is for you to pursue the certificate and/or the training. This mini course has about 2 hours of material, but you can take longer if you spend time on the quizzes, or shorter if you cherry pick and put the videos on double speed. The mini course is designed to quickly bring you up to speed, and has the following sections. Introduction to the course. This gives you some background and helps you decide if you should pursue the mini course. Cloud computing and cloud security. 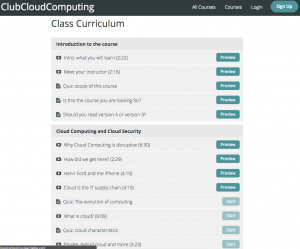 In this section we get into the definition of cloud computing and how security in the cloud is different. Just this introduction is already valuable. CCSK. 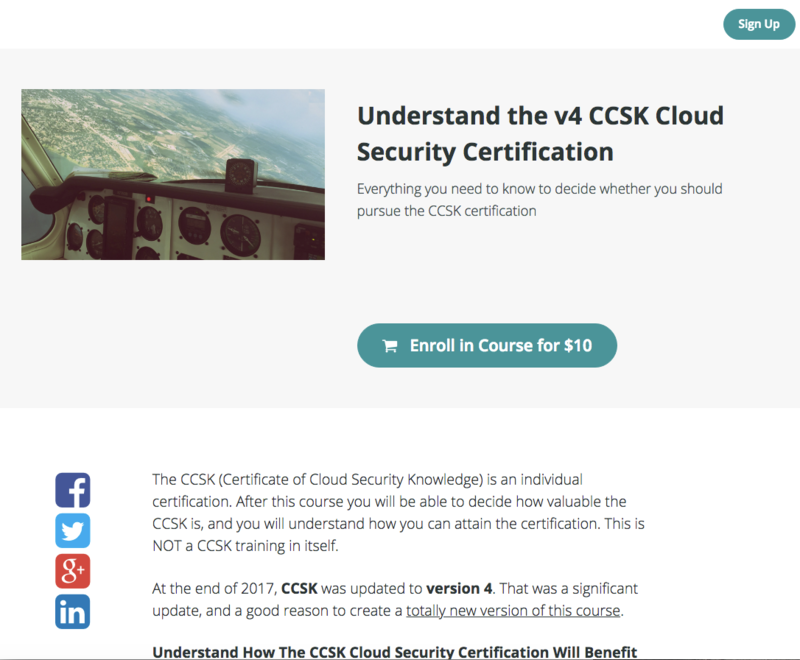 Here is where we give some historical background on CCSK, and then dive deeper into each of its domains. With this section you should be able to decide if CCSK is worth pursuing. Preparation options and resources. Should you want to find out how to prepare for the certification, this section gives you a wide range of alternatives. As a matter of fact, should you want to self study, you would be able to do so just from this course. Bonus section. Finally, we have some nice, convenient and fun stuff that is related to CCSK, but not part of it. It will come in handy if you want to talk security to your colleagues and boss, for example. The list price of the course is $10, but through this link it will be for free for readers of my site. 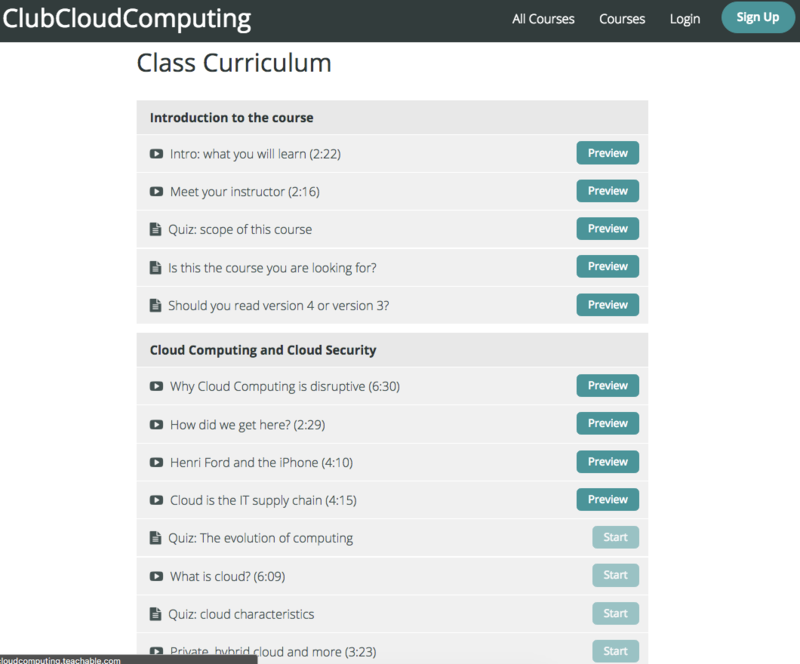 Here are a few screenshots of the homepage of the course. The course has video, text, quizzes and some assignments. There are also a lot of downloadable documents. 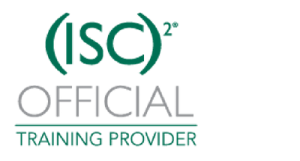 So sign up now, and start your secure cloud journey.